In the previous lecture, we talked about Columbia University Professor Jeannette Wing’s concept of computational thinking, as well as the general basis of computational thinking in quantum mechanics. During this lecture, we are going to apply computational thinking to the concepts of the smart economy and blockchain. Ever since I started studying Bitcoin and blockchain in 2013, innumerable people have asked me why Bitcoin has monetary value. Isn’t digital currency a Ponzi scheme? Is it the “tulip mania” of the modern age? When I first began to answer these questions, I was like many people within the Bitcoin community, hoping to explain the logic and rationale of the technological mechanism from the perspectives of Bitcoin and blockchain principles, but the results weren’t positive. I later discovered that if I want to respond to these questions, then I must consider the perspective of the entire historical development of human economy and finances, including the internet, as well as the span of the last 100 years and I must also consider it using the method of computational thinking. Luckily, in 2014, I ran into Dr. Zhou Ziheng, a researcher at the Chinese Academy of Social Sciences Institute of Finance and Banking and a consultant for Ali Research (Alibaba). Having explored this many times, we finally came up with a definition for the “smart economy.” This definition is the result of a comprehensive analysis of the new internet economy using computational thought methods and is now the core concept for understanding the phenomena of Bitcoin and blockchain. Dr. Zhou Ziheng has been praised by Ali Research for his proposal of a set of relatively self-contained theories that looks at subjects from economics to finance to explain the reasons why Alibaba has exhibited such a major role in China’s contemporary economy, including the emergence of Alipay, Wechat Pay, in sum, some phenomena in the internet economy. I believe that this theory is basically self-evident. Everyone knows that people in traditional economics have vehemently attacked Alibaba, including the famous economist, Larry H. P. Lang, who has openly said on television that Alibaba is bad for the country, as well as the founder of Wahaha, Mingzhu Dong, who has said many bad things about Alibaba. Jack Ma has a serpent’s tongue and he speaks English well, but realistically, he has insufficient theoretical knowledge. In public spaces, I think that Jack Ma almost doesn’t have any power to retort against these criticisms. Zhou Ziheng theoretical literacy is sufficient. The reason that him and I are friends is because he is truly very knowledgeable. If you go his house, it’s full of books. So under the circumstances, he really can develop a set of theories to explain the new internet economy. So now, Alibaba wishes they had the opportunity to call him over to talk. What is his main point? I talked with him a few times and basically got it. He begins with phenomena, grasping the major characteristics of the so-called new internet economy, which is that the Big Bang of Transactions iterated on the Big Bang of Production. I believe that on a global scale, he is the first person to grasp this characteristic. Usually it is very important to understand a certain point accurately, because later on, it is easy to extrapolate its meaning, but if you get it wrong, no one would understand what you were talking about. Why is it so important to recognize that the Big Bang of Transactions iterated on the Big Bang of Production? Because when viewed from the many phases of the development of the entire human economy, the Big Bang of Transactions, including the previous Big Bang of Production, is the human economy gaining its defining characteristics of revolution, sudden change, or subversion. In the previous lecture, we talked how about Adam Smith’s economic theory of the free market effectively conforms to a decentralized system of computational thinking. Thus, the speed of the “computations” at each segment in this system surely has a direct effect on the system’s overall efficiency and production. 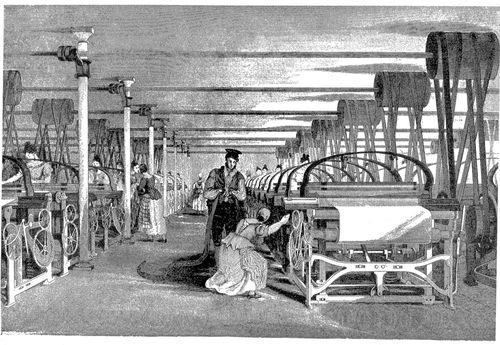 The symbolic characteristic of the so-called Industrial Revolution is the Big Bang of Production. This undoubtedly greatly increased the “computational” speed during the computation system’s production segment. Prior to the Industrial Revolution, the core of contemporary economic research was the concept of “scarcity.” Based on the supposition of scarcity, under these imaginary circumstances, the question that so-called economics aimed to answer was how to rationally and more effectively allocate economic resources. You could say that prior to the Industrial Revolution, the concept of scarcity was a reality. Many people during the agricultural age, including in the livestock industry, definitely experience scarcity. Almost all market supply experienced scarcity. Simply put, because it was the agricultural age, production was tightly constrained by natural conditions, as mankind relied on the land for sustenance. You couldn’t work 24 hours in a row, continuously producing. Each day, you could only work when the sun came up and rest when the sun went down. Additionally, you couldn’t work year round, producing during all four seasons. You could only plant during certain seasons, and even that depended on favorable weather for crops. Production had many constraints. So previously, all products involved in human economic production were in a state of scarcity and the market sought to overcome this problem. Later, with the arrival of the Industrial Revolution, the Big Bang of Production suddenly appeared, finally allowing production in the industrial age to be carried out 24 hours a day. Production was no longer linked to the weather and could be carried out through wind and rain. Due to the widespread construction of railroads, even the location of raw materials was no longer an issue. Everyone knows the entire process of the economy. The speed of this computational system in the production segment suddenly increased. For example, raw material was the only reason that cities like Panzhihua and Angang were developed and came into being. In order to allow the Big Bang of Production to be free from the constraints of the location of raw materials, they simply installed the factories and living quarters near the location of the raw materials. This phenomenon occurred globally, not only in China, causing large numbers of centralized production bases to emerge. Transportation, living facilities, the population, related schooling and education, all served the production base. The overall phenomenon of the Big Bang of Production emerged. Something rather perceptible was the assembly line, which is said to have been invented by Ford. We have seen Charlie Chaplin in Modern Times. It makes your workers unable to rest, unable to take an extra half step. All you could do is stand there, repeating one motion at the assembly line, with the ultimate goal of raising work efficiency to its peak, which was the guiding thought of the time. Zhou Ziheng basically captured the fundamental symbol of the Industrial Revolution, which was the Big Bang of Production. So at the start of the Industrial Revolution, a country’s successful entrance to the industrial age was symbolized by the lives of the country’s people and included saying goodbye to economic scarcity, causing many products to be symbolized by surplus, instead of scarcity. Is it true that the more that the Big Bang of Production developed, the better? Zhou Ziheng’s analysis below actually finds that this was not the case. In fact, the Big Bang of Production brought humanity many economic crises, the most classic example of which being the Great Depression in the United States. If you’ve read the historical information, the most classic photographs that came out of the time were pictures of farmers dumping out cow’s milk. You might think that there was a surplus of cow’s milk, but after doing some research, Zhou Ziheng found that indeed, this was not the case. If you concluded that the reason milk was being dumped was that there was so much milk that people were unable to drink it all, this would be incorrect. At the time, it wasn’t that there was so much milk that people couldn’t drink it all; it was actually the opposite: 100 kilometers away, many people were without milk to drink. Because of the logic of the Big Bang of Production, all economic resources accumulated on the production side, which was the overall socioeconomic line of thinking at the time. At the consumer side, there were no resources, financially or logistically. For example, something like milk needs logistics. If you produce it over here, that does not necessarily mean that the product will get to market. Indeed, the milk industry now needed large-scale logistics solutions, like cold storage and pasteurization, if it would ever be able to be marketed in distant locations. At the time, humanity had never considered before that it was possible to produce, produce, and then produce some more. The first time that we entered into a production spree era, we thought that as long as we could produce product, then it would be okay, and we could say goodbye to scarcity. As a result, moving forward, we found the the entire economy collapsed, because resources at the commercial end were severely insufficient. The milk was certainly not dumped simply because surplus milk production resulted in people being unable to drink it all. It was because the infrastructure behind production was missing. The market end was not able to support sales with the resources it had, and they weren’t able to sell the milk beyond a distance of 100 kilometers. Considering the shipping and logistics conditions of the time, the milk would certainly spoil in the time it took to ship it beyond a distance of 100 kilometers, so their only choice was to dump the product. The Great Depression marked the first time that humanity faced an eruption of complete economic disharmony brought on by large-scale production. Milk dumping reflects just one of the concentrated aspects of this. The US was experiencing a total economic crisis, including a collapsed stock market, and in New York City alone, two or three thousand people died of hunger. The entire economic disaster was very severe. After the 1949, China also experienced what is known as the Great Leap Forward. Although China’s economic system was very different than that of the United States, the logic of the Great Leap Forward and the logic of major production was very similar. Humans urgently needed to say goodbye to the era of scarcity by using major production and its beginning focused on the proposal of the major iron smelting effort. China was an extreme case. How much iron was smelted during the movement? So much that the average person paid a great price. The people didn’t even need their life anymore. They took it to the extreme for the sake of so-called “guaranteed production.” We all know now the consequences that came later on as a result of such extremes. The consequences caused by our economic difficulties were even greater. This is basically the logic of major production during that time. But what is now suddenly emerging? Something has suddenly emerged from the so called internet economy that major production did not have: big transactions. In the age of major production, sales were always a difficulty, particularly if you wanted to bring product to market. Zhou Ziheng analyzed the major reasons for this. During the age of major production, resources at the sales side were scarce over the long term, including financial resources. Sales was the bottleneck for the market’s entirety. The “computational” speed at this station was very slow, causing “computational” congestion, and sales were oftentimes unable to keep up with the pace of the production sector. Something emerged from the sudden arrival of the internet and from Jack Ma and his crew. They finally found a way to create the Big Bang of Transactions. It became possible to transact 24 hours a day, regardless of the time or location. The Big Bang of Transactions allowed the “computational” speed of the entire market system’s transaction sector to suddenly speed up. When we originally transacted, it was very similar to production during the earliest agricultural era. Originally, our transactions weren’t something that we were able to do all the time. You had to go to a specific location in order to do it. When many of China’s retail industries weren’t well developed, everyone knew that only first-tier cities had large commercial centers, and third- and fourth-tier cities had almost no shopping centers. So conducting transactions in third- and fourth-tier cities was very different from conducting transactions in large, first- and second-tier cities. I grew up in a small county next to the capital of Sichuan, called Deyang. The time my father went on a business trip to Shanghai, the whole family felt almost as if it was a festival , because my father would have the opportunity to bring back all kinds of things that we had never seen before. On the sales side, there were extremely large differences between large and small cities, so the transaction side was under great constraints. Suddenly, the internet, cloud computing and AI came into existence, and the Big Bang of Transactions finally appeared, just as the big bang in manufacturing had, so many years ago. Astonishingly, transactions could now be completed 24 hours a day, regardless of time or place, the most exaggerated example of this being the number of sales hosted by online stores on Singles Day(11/11), which constitute the single most extreme example of the Big Bang of Transactions. The basic mark of Alibaba’s Singles Day is that it has consistently been able to create record breaking high traffic, and this traffic certainly isn’t short lived. The traffic that is created on this day becomes the regular state of affairs in the following year and will again break records from the previous year’s Single’s Day records. Due to the high volume of computing power rushing in, as well as the rapidly increasing computational power at the sales end, it continues to grow. So Zhou Ziheng grasped the concept of the new internet economy, and it is surprising what it can bring us. The Big Bang of Transactions is the most centralized phenomenon. Its appearance was almost as big of a spectacle as the Big Bang of Production during the Industrial Revolution. Economically, this completely new and never-before-imagined phenomenon erupted inside human society. With computers and the internet, the form of human transactions was changed. It was originally a manual activity in which money was exchanged with one hand and goods were provided with the other. Zhou Ziheng says that regarding online transactions, a distinction is made between a “transaction reached” and a “transaction complete.” Fundamentally, what does this mean? It means that a program completes what was previously a manual process. Reaching a transaction actually means that a computer is completing a program and you don’t need to pay attention to those processes in the background. You don’t even need to pay attention to how the goods enter the logistics system. A picture taken at Amazon gives you a better idea of what this looks like. 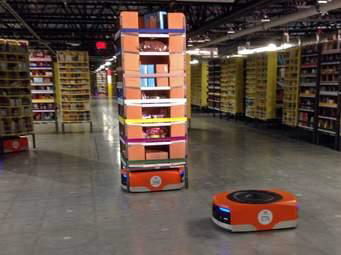 The only thing in Amazon’s warehouse is robots. You can’t see any humans. The robots move all over the warehouse from tray to tray, doing nothing but accepting online orders. Once an order is accepted, the robot already knows where to go to select the merchandise. After selecting the item, the robot moves it to the correct shipping window. This is an automated process. Zhou Ziheng made an analogy. What is the essential difference between Big Bang of Production and traditional manufacturing? Why did the Big Bang of Production emerge from the traditional handicraft industry? It is still fundamentally because humans changed manufacturing into a concept of automation. First of all, the steam engine solved the issue of power. Originally, you needed to rely on human power, or at best, animal power, so the steam engine was the beginning of the Industrial Revolution, because it first solved the question of power. Soon after, everything became mechanized, including the wool spinning industry. The more that it was done, the better the results. Later, the introduction of computers and, after that, robots thoroughly automated the manufacturing process, replacing processes that had originally relied on manual labor. For Zhou Ziheng’s second point, he later clarified for me that the essence of the Big Bang of Transactions lies in computational thought. The entrance of large-scale computing power, internet and AI into this area is analogous to the first generation handicraft workshop production developing into the era of mass production, both firsts in human history. The application of internet and computing power to transactions marked the beginning of the Big Bang of Transactions. Next, the third point is the entrance of computing power, internet and AI into payments. Traditional payments were also a manual process. You had to fish the money out, the seller would have to count the bills, and the bills needed to go back to the bank, an almost entirely manual process. If you wanted to conduct transactions, then you would frequently need to go to the bank. Now, it is basically just a program, and once the program is done scanning a QR code, your payment is complete. Not long ago, I was in Singapore and the taxi drivers all naturally told me to scan their Alipay QR code. I suddenly realized that automatic transfers will be a large market for Alipay in the future. But in the future, I have heard that Alipay plans to enter the Russian market. In New York, I have also encountered taxis that accept Alipay. If a taxi driver in Singapore can have customers scan his QR code to immediately transfer and exchange money, that means that in effect, tourists don’t need to exchange money anymore. As long a you’ve got Chinese yuan available, the money transfers are up to Alibaba. I believe this will enter the Singaporean shopping centers quite soon, although I haven’t seen it yet. Popular restaurants in China all have QR codes, and they will quickly appear in Singapore too. This means that the payment sub-segment of transactions has also begun to be automated, because the market will automatically have this feature. Once the cost of the market’s transaction segment sharply decreases, its efficiency will experience a major increase. Like wild grass, its growth will be unstoppable. I can totally imagine the possibility that within one year, Singapore will be just like this, without the need to go to the bank to conduct money transfers, everywhere in Singapore just like China, and Alipay will become a standard global exchange company. In summary, these things all connect to create a picture of China moving forward to the global forefront. Large-scale cloud computing, internet, AI, and automated programs are entering the areas of traditional manual transactions and financial payments right now. Don’t take this lightly. In China, we don’t really have a sense. As long as you have your cell phone, you can scan to pay anywhere. Bike sharing is something about which everyone feels very natural. Based on this premise, bike sharing has appeared in streets everywhere. The reason is very simple. Without Alipay or similar services, it wouldn’t be possible to scan bikes and instantly ride them, a problem which has been solved by automating the series of transaction segments, which can all be replaced by programs. To put it bluntly, in the future, contract writing will be program writing. Bike rentals have always represented a contract and by scanning the code, you enter into the economic agreement, the transaction is agreed upon, and the bike is rented. Outside of the west gate at Tsinghua, several aunties make a living with a fleet of several dozen bikes with a business called Bike Rentals. Tsinghua is big. Once I came running in and was in a real hurry, so I rented one. They were asking 30yuan RMB per hour with a deposit of several hundred RMB for a bike that wasn’t even in very good shape, but I had no choice. It was my only option. Now, bike sharing is so cool. I bet the aunties at the West Gate probably changed industries a long time ago, unable to continue operating. It’s simple. Once the programming was completed, the auntie’s manual rental business became unable to keep up with programmatic operations and automatic payments. In the past, if your handicraft workshops tried to compete with major manufacturing, you would have certainly been eliminated, because the competition was not on an even playing field. I believe that in the future, similar situations will appear one after the other and bike sharing are just a part of it. This is because after having undergone both the Industrial Revolution and the Big Bang of Production, China is now truly trending towards entering a new era of the Big Bang of Transactions. In sum, major production integrated the cutting-edge technology of the era, such as the steam engine and textile machine, into the manufacturing industry, beginning the processes of automating human production. The Big Bang of Transactions is very similar to the Big Bang of Production, in that the internet has allowed a large number of contemporary technologies, such as cloud computing, cloud storage, and AI, to be incorporated into the transaction field, and now we have begun the process of automating transactions. As professor Xu Ke discussed in his lectures: algorithms hugely cut down the processing time of selecting trading, bargain, profit-sharing, and executing contracts. It’s the smart economy. Prompting further consideration is the question of why the evolution of the market system would cause the entrance of so much computing power? Firstly, is it needed? It is just like the beginning of the Industrial Revolution, when a large number of machines, steam, and other things were brought into manufacturing. Because I studied physics, I later was able to completely understand the physical principle of computing, which was discussed in Lecture One. In reality, the most fundamental thing about computation is that it is a smart system with many Maxwell’s Demons. Actually, the market is, too. We don’t need to have too deep of an understanding of a smart system with Maxwell’s Demon, just know that it is an effective, low-entropy computational system. It’s simplest characteristic is that it executes almost any action according to its basic protocol (using recursion and parallel processing). On the surface, the starting point for the basic protocol is very simple, but when continuously iterated and executed in parallel thousands upon thousands of times, it results in an extremely high-level intelligence and the ability to complete extremely complex calculations. This is precisely how the free market works. In reality, what is the basic protocol of the market? Adam Smith was the earliest person to produce a clear explanation 300 years ago, saying that the basic protocol was the exchange of goods for mutual benefit and the trade of goods based upon their real value. Any market, including financial markets, logistics markets or market for agricultural goods, all share the same basic protocol. It’s no different than when you start to write the first line of computer code. The entire market uses this basic protocol as a starting point. Of course later, people signed contracts that varied widely, but all contracts were unable to violate this basic protocol. A contract that is good for one party but harmful to the other could never be established. Contracts must be in accordance with the basic protocol, which is that agreement must be beneficial to everyone involved, and goods are exchanged for mutual benefit and traded based upon their real value. Actually, the large amount of computing power entering the market has no other purpose than to help you execute this basic protocol and is actually very simple when broken down. This includes all the contracts to which you agree. They can be broken down into a certain combination of these basic protocols. According to this, all human transaction activities, including financial activities, can all be traced back to a kind of executable computer program. This is happening in the new internet economy right now. Now naturally one of our frequent topics of discussion, we ask if blockchain could make it possible for the economy to become fully-automated, without a central point and fully decentralized. In reality, our analysis tells us that blockchain could make it is possible. At first, the automatic economy needs a cryptocurrency system to issue, to clear, to ledger, to audit etc automatically by computational thinking method. Bitcoin is the first one try to solve such problem. This is the reason why Alibaba was originally very interested in blockchain and often invited me to give talks at the company about two years ago. But later, they discovered the implications of blockchain logic and what the existence of blockchain means. Blockchain is thoroughly decentralized. Prior to the existence of blockchain, confirming a person’s identity undoubtedly relied on an offline center and required that an offline organization confirms users’ identity. Almost everything required confirmation by an offline or centralized unit. But the logic of blockchain is the first of its kind. It is a so-called “distributed ledger,” which relies on cryptography, mathematics and data to confirm a user’s identity, removing the need for a central point. Alibaba previously said that semi-automation is great, but when I wanted to continue talking about full automation and about how centralization would not longer be needed, Alibaba wasn’t willing to keep listening and never invited me back. But following Zhou Ziheng’s theory, big bang of trading needs a revolution of account. So later, we proposed a definition for the smart economy, which we defined as a fully automated economy, or a computation system that uses the internet, cloud computing, big data, blockchain and AI to automatically execute Adam Smith’s basic protocol of Maxwell’s demon inside of a free market economy. Within this economic system, the peak of so-called computing power and programming will be the large-scale introduction of artificial intelligence and blockchain technologies into the market’s transaction sector. The first generation was the Big Bang of Production. Initially, large-scale mechanization was incorporated into manufacturing, creating the Big Bang of Production. The second generation was the Big Bang of Transactions. Following the sudden emergence of the internet, large-scale computing power and programming entered the transaction sector, the financial sector and the payments sector. It has already started, but is still using methods that are semi-automated and centralized. In the third generation, the existence of blockchain and AI will, in theory, allow us to enter the era of a true smart economy, which is fully-automated and thoroughly based on computational thinking. Fundamentally, the fact that it will no longer require centralization will solve several major problems. First of all, it will solve these problems by using decentralized IDs, registering your identity, using cryptography and full-network ledgers. The same goes for decentralized storage, and following this, decentralized property will also naturally exist too, at which time the questions of to whom a set of data belongs will become clear. So secondly, data and code will become a person’s property, becoming a tool for each person to realize their future wealth. Any valuation for innovations in this space will be quick and effective (because the data and code can be authenticated and exchanged). Decentralized smart contracts are contracts which are automatically executed. To complete a contract today, we must rely upon offline agencies, such as court or arbitration, but in the future, contracts will probably be automatically executed by computational programming, constituting a fully-automated economy. 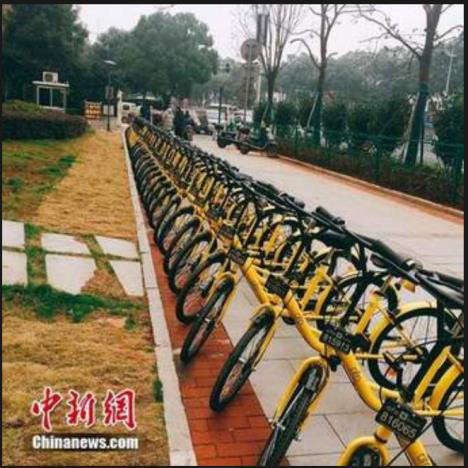 Now, things like bike sharing are basically already like this. The reason why bike sharing is highly efficient is because once you scan the code and open the lock, your agreement is signed into effect. At that point, you can’t undo the agreement. You must follow the rules that have been defined, like the cost per hour, and no matter where you ride to, you must abide by the contract. Just because you are having second thoughts and want to change the contract, it’s already too late. You can’t even refuse to pay. During my latest trip to Moganshan, something really funny happened. I was at the lectern talking and had just gotten to the subject of bike sharing, when a professor asked a question about a bug in the bike share, saying that he doesn’t like bike sharing and needed help resolving his issue. I asked him what bug he had found with the bike sharing, to which he replied that he was riding a bike sharing bike with 99RMB on deposit, but he put the bike outside and forgot to lock it, whereupon someone had took the bike and rode away. Other people didn’t know what had happened, but after a few days the bike was returned, whereupon he discovered that his deposit had basically been spent. He said that this was a bad thing, that it was a bug with the bike sharing system and that he wanted my analysis on how to fix it. My response was that first of all, the only bug apparent in that story is you. Who can you blame if you didn’t lock it up? It’s as if you didn’t execute the original agreement, which in principle, does not only require that the bike be locked up, but also charges the fee and terminates the contract. That is how it works. It’s your own problem if you leave it outside, unlocked, and someone else rides away on it, not the company’s. Then, he asked me for a solution. I said that the solution was simple, just remember to lock it up next time. Next time, if you scan a code, then it means that the contract must execute accordingly, and not according to your mood, or any old thought you have, like keeping your bike unlocked outside, as if everyone is a saint. If you don’t uphold your side of the agreement, then sorry, but it will automatically be executed and in the end, you will owe money, your deposit will be gone, and it will be your own fault. This is the definition of a program-executed contract. Yesterday (September 2017), I was chatting with the Vice President of CISCO (China) at the Qinghua East Gate Cafe when suddenly I had a thought. What will globalization be like in the future, I asked him. Globalization will mean governing the entire world through programs. I believe that in their dealings with each other, many countries will rely on programs to execute automatically, but at the start, everyone will have agreed to it, and then the program will be executed. The Vice President of CISCO (China) completely agreed, because now, you know, international disputes are common and solving them is massively difficult. First of all, every country has different laws, there are problems with religion, culture and race and in reality, executing a contract on a global scale is not very effective. If you are counting on a lawsuit in court to enforce the contract, you have almost no chance. But in the future, if humanity is inclined to move towards programmatic execution, how much do you think the efficiency of the global economy would need to increase? The future would truly be wonderful. Everyone would save so much time, fewer disputes would occur and anyways, programs would be executed at the right time, so it wouldn’t be up to you. I don’t care what your religion is, I don’t care what your culture is, I don’t care what your hobbies are — none of it matters. This is why decentralized smart contracts will truly be a major trend of the future and later on, if we really do have a world government, I can’t think of a better method of governance than this. World government would be impossible with the current method of human government because its efficiency wouldn’t be able to serve billions of people. So, as a third factor, blockchain and smart contracts will change our human being’s organizing method. In the future, our global society will be more like ants and bees, and not like some kind of dynasty. It’s computational thinking. Professor Ben Ku will discuss these detail in his lecture. This is why we believe that the future direction of development will be towards the smart economy. Here, I would like to specially introduce a colleague of mine, Rong Chen, who has been the organizer of Elastos for 18 years. Elastos is developing an operating system for the future smart economy, which we will discuss in more depth over the next few lectures. How did this operating system come to be? To start, Rong Chen graduated from Tsinghua University in the class of ’77. The ten loathsome years of the cultural revolution was a period that hid many talented people and brought them together into one group, which was a very rare occurrence. Prior to this, Rong Chen was an educated youth raising pigs in the suburbs, who later hurried to take the gaokao when it became available, passing it in the year of ’77. After passing the test, he quickly graduated and was sent abroad by the Chinese Academy of Sciences as part of one of the first groups of students sent to the United States. He went to the University of Illinois to research operating systems. At the time, the backwards situation in China made it rare for a person to be able to encounter operating systems, and the development of the country lagged behind the United States by several generations. He later naturally made a smooth transition into Microsoft’s core group of developers for operating systems. But in 1998, there was an extremely severe difference of opinion in the group working on the Microsoft Internet Explorer browser. What kind of difference of opinion? At the time, Rong Chen saw it very clearly. Windows, the Microsoft operating system, something we still use today, is fundamentally a piece of standalone software, designed for use by one PC. But then in 1998, the rise of the internet was certain yet unpredictable. If your machine or operating system couldn’t get online, then it would no longer be useful. How could you solve this problem? They treated the internet as a computer application that was part of the operating system. The browser was able to go online, solving the problem of how to get on the internet. But although this solution was able to temporarily handle the problem, there was one last fatal problem: safety. All applications running on operating systems have the potential to be a virus in disguise, exposed under other potential viral attacks also, so websites are easily attacked by dDOS. Once you have been attacked, it’s almost impossible to defend against it. In the future, especially now that we have entered the era of the Internet of Things, every probe and every sensor on IoT technologies are Turing complete and in theory could be used to launch attacks. In the future, dDOS attacks will be even more unstoppable. Last year, half of the entire US National Grid was paralyzed by an attack. Hackers can launch attacks with extremely low costs, so this is no way to do things in the age of the internet. The internet was originally designed to be decentralized, but due to the shortcomings of operating systems, it now had no choice but to become centralized, because only certain “safe” information centers and IP addresses could be trusted. In 1998, Rong Chen had the foresight to propose a simple solution in which the internet was not an application on the operating system, but rather the opposite, where the internet was the foundation. Future operating systems would be based on the internet and would not be standalone machines. This was very advanced thinking for 1998, but today, it seems very normal, because everywhere we look, we see cloud computing. Do you think your phone is a standalone machine? Your computations most likely take place on a different computer. It is unclear which cloud stores the contents of your hard drive and memory or where that cloud is located. The concept of a standalone machine is becoming weaker and weaker. This is now, but when this concept was proposed in 1998, it was ahead of the times. He proposed to Microsoft that the internet should be a platform for the operating system to operate on top of. He also proposed that the operating system should strictly adhere to the principle that “computation is offline, no computation online.” This means that applications shouldn’t be able to directly connect to the internet. If he wanted to go online, he must use the P2P dial-up by relying on the operating system to connect (decentralized carriers), thus reducing a large number of internet attacks. At the time, Microsoft didn’t accept his proposition, saying that the only person who could make the final decision on operating systems would be Bill Gates, but Rong Chen’s proposals never made it to Bill Gates’ desk. Angered, Rong Chen left Microsoft and returned to China to start his own company. Having returned to China to develop an operating system, the government began to look on Rong Chen’s company favorably, and on one occasion, Romg Chen even met with Hu Jintao. Luckily, later, it would seem that he found an investor. The largest investor would ultimately be Terry Gou of Foxconn. When Terry Gou heard this story, he thought that the IOT operating system was a great idea. He has always aimed to make major contributions to China and everyone was clear about his goal, which was that the government would see him as a Chinese person, rather than a Taiwanese businessman, so he invested 20 million RMB into Rong Chen’s company. After making this large investment, the China International Big Data Industry Expo in Guiyang was to be held with many national leaders in attendance, including the Deputy Primer. Mr. Gou brought Rong Chen and thought that it was the right occasion to present the Elastos. But the results weren’t ideal. Terry Gou was extremely disappointed and as a result, decided not to invest. Mr. Gou did the right thing and didn’t pull all of his money out right away, but said that he wouldn’t continue investing. He would not ask for his initial investment back, leaving Rong Chen with enough to continue for another year. In 2016, Rong Chen started coming to see me to talk about blockchain. He suddenly realized that without blockchain, his logic wouldn’t be able to work. With safety as the core concept, applications would not be allowed to connect to the internet, which seems safe on the surface, and in practice, when users naturally go online, it would use dial-up to create a P2P connection with the internet. But a fundamental question is how can you trust that the node you are connecting to is safe? What if its ID isn’t safe? What if it is malicious? Suddenly it was clear. These problems could only be solved with blockchain, which uses decentralized computational thinking and relies on big data to confirm whether a node is safe. Blockchain certainly solves many of the questions we have raised here and in sum, we ultimately have it organized such that the operating system will support the future smart economy. Because they all must provide support on an operating system. it must be safe. If it isn’t safe, would you allow the economy to automatically operate on it? Take for example the system that SAIC Motor has for self-driving cars. If there was a possibility that the operating system had viruses on it, or that it could be broken into by hackers, would you want to drive it? Who are you going to go after if your car is hacked on the road and you die in a car accident? Who would you sue? Do you think SAIC Motor would dare to take responsibility? This is the reason why safety is definitely the most important. This includes the financial sector. By saying that it is fully-automated, it sounds nice, but if money is lost, who takes the hit? What could you do if you got hacked? So safety is definitely the first priority. Full automation must be safe. So in the future, Elastos will be able to allow all smart devices to connect to the internet on the Smartweb Powered by Blockchain. A supporting operating system will be needed in the future and to this end, we hope that Elastos will be successful. First of all, China finally has an operating system, fundamentally providing the ultimate solution for transitioning China’s economy from semi-automated to truly fully-automated. Not only will this greatly improve future social governance, but it could also have an impact on the thinking for global governance, including “One Belt One Road.” Of course, the fundamental thing is what it means for each one of us. I believe a very, very important aspect of this is that it will change the state of each person’s finances. Through big transactions, we generate big data and through blockchain, our data and code will become our property safely. I just looked at the list of attendees and I see that in addition to Tsinghua students, there are people from banks and finance, so this really is relevant to all of you. In the future, I believe that five to ten years from now, personal wealth management will undergo significant changes. We need to look at this from a different dimension to understand how data and code can become wealth. Why will data become wealth? First of all, the Big Bang of Transactions requires a new kind of trust. This is just like the Spanish discovery of silver in the Americas 300 years ago, which ultimately provided the trust power to support the Industrial Revolution in Great Britain, and provided credit resources for the Big Bang of Production. The Big Bang of Transactions of today also requires new credit resources — big data. Secondly, blockchain can authenticate data rights and create scarcity, technologically guaranteeing that data can become wealth, which will become the new credit resource. I think that mankind will enter a new era of wealth. Why do I say this? In reality, notions of wealth are different during different stages of an economy. Actually, a regular person is usually pretty ignorant, thinking that concepts like wealth, time and space are already defined and are not things that need to be reexamined. If you ask any auntie on the street if she knows what wealth is, she will immediately be able to give you an answer. But only after you research it in depth will you discover that if this simple concept is overturned and experiences a major change, then the development of the entire human civilization will experience major advancement. Take the simple concepts of time and space, proposed by Einstein 100 years ago. In general, do people usually need to stop and think about time and space? If you ask a regular auntie if she knows what is time, then she would probably mishear you and simply tell you what time it is. It’s not that she doesn’t understand your question, because everyone believe they understands what time is, but people stop thinking when they don’t believe any further thought is required. But Einstein contemplated this question deeply, synthesized contemporary test results and came up with a different conclusions. This innovation produced the Theory of Relativity, which overturned the traditional concepts of time and space and exerted a major influence on history. I have found that notions of wealth are the same. Over the past several decades, I have not given much thought to the concept of wealth and everyone has accepted its common definition. Most people have accepted that work wages, cash, and the property I have purchased are all part of the notion of wealth. It was because I studied blockchain that I had an epiphany. On the one hand, I realized the significance of the development of history, and on the other hand, I realized what the future might be. Historical notions of wealth have changed over many generations, the first of which undoubtedly being from the agricultural age. During this time, wealth was objective and referred to land, water resources, the dependency of serfs and the ability to use the time of others for labor. I will refer to this as the wealth of the past because these things existed in the past. Works of literature have described this notion of wealth many times, such as Balzac’s realistic depiction of the landowning father in the book Eugénie Grandet, who was an old miser and who fought for this kind of wealth until the end of his life. This also includes the Chinese television drama, The Old Chinese Peasant, in which an old landowner lives for the accumulation of land and land titles but in the end, his land is redistributed during the Land Reform, whereupon his spirit is unable to bear it, and he dies of anguish. The notion of wealth during this time is very observable. Although this notion of wealth is from the past, be sure not to overlook its importance, as it really has a great influence on us today. The most classic example is Mother-in-Law Economy, a TV drama. We often see a young couple who wants to get married, but when they broach the subject, they are asked whether or not they have a house. Actually when we think critically, those of you seated here who understand finances will know that real estate is now a form of financial product. The risk is growing, but that is the price you pay. Originally, the people who had the most fun in real estate are now fleeing. Li Ka-shing, Wang Jianlin, and Pan Shiyi have all been on the battlefield for a long time and according to their knowledge and judgement, the real estate industry does not have a lot of space to increase in value. But in Mother-in-Law Economy, when a young guy is forced to purchase a home, it truly is a financial misstep. If you purchase when prices are high, you will be a slave to it your entire life. If the real estate market crashes, like in Japan and Hong Kong where they have seen home prices drop to up to half, I think that economically, his life would basically be a tragedy. But no matter what, why does she believe this? She believes that if he doesn’t have a house, how can her daughter have a happy family? Her beliefs have been greatly influenced by this generation of the notion of wealth. The notion of wealth certainly didn’t stop at this point in human history. The next generation of the notion of wealth was undoubtedly during the industrial era. During the industrial era, there was no other notion of wealth besides how much resources you had and your ability to mass produce industrial products. Initially, the British Empire wore the crown of “the workshop of the world,” and at the time, it was certainly a very valuable crown to wear. The title of the workshop of the world assumed by the British Empire basically meant that the British Empire held a majority of global wealth at the time, which was true. Why do you think it was said that the sun never sets on the British Empire? It ruled the world for almost 100 years and that is a fact. With regards to China, the most painful thing about the replacement of this notion of wealth was the War of Resistance against Japan. From the perspective of the first generation of the notion of wealth, China was richer than Japan by several times over when the war began. The area of land, the population, and resources were all greater than those of Japan. So why was the War of Resistance against Japan so terrible? There are some Taiwanese documentaries that show the real War of Resistance against Japan which are edited in an extremely realistic way. The footage is difficult to watch, as the war was so asymmetric. The line from the China national anthem, “With our flesh and blood, let us build a new Great Wall,” is not just artistic language; it is how it actually happened. The Battle of Tai’erzhuang resulted in a win for China, but what happened in the process? It is now a scenic area that I have visited many times and I have read the history in detail. In the beginning stages of the campaign, one troop after another came up to fill in. I wouldn’t say that the previous one was defeated because if they were defeated, they would have been able to withdraw, which is why I say that they filled in. The last person to die in the last troop was the commanding officer, who died as the highest ranking officer. At the time, Japan had already entered an entirely industrialized system and was able to carry out large-scale production. There was a symbolic target at the time. Japan’s steel production was at over one billion tons, but China was only at several tens of thousands. We fought the enemy’s steel with our flesh and blood, which really was a lesson written in blood for us. After the Liberation in 1949, why did China try like mad to start major production? The national steel production effort in 1959 was rash and did not follow the regular rules of economics, but was later successfully completed. The steel production of the single city of Tangshan exceeded that of Japan. The logic of major production in the 30 years of China’s reform was implemented in an extremely thorough way and now the title of “the world’s factory” became China’s. But think critically about this. Did this mean that China had become just like the British Empire of the past or that China held a major part of the world’s wealth? Those of you have some understanding about the global economic situation of the time will know that this was not the case. The majority of the world’s wealth was undoubtedly still in the financial empire of the United States. Take a random indicator, such as its world renowned carrier battle group. The carrier battle group is petrifying, appearing wherever in the world an incident occurs. The US has 12 carrier battle groups and these war machines are extremely costly. China would also like to have similar machinery, but as of 2017, we have been unable to obtain the technology. Regardless, the wealth gap is very large. What is the mark of the United States’ wealth? From the perspective of the first generation of the notion of wealth, China and the US are not too far apart, and China even has a pretty big population. If you are looking from the second generation of the notion of wealth, many mass producing factories are located not in the US, but rather in third world countries. Apple cell phones are manufactured in Shenzhen and the company doesn’t even produce them themselves. What right does the US have to call themselve “the empire of wealth?” Where does it’s wealth come from? Professor Zhiwu Chen of Yale University provided some clarity here in his book, The Logic of Finance, published in 2014. I read this book twice, which is rare for me, unless it’s something like The Analects of Confucius, so I can tell you that it is very much worth a read. It provides an extremely thorough analysis of the essence of US wealth, so it’s no wonder that he has studied and lived in the United States for 20 years. He has truly studied everything there is to know about US finance. Without going into detail, let’s talk about some iconic data. Professor Zhiwu Chen says that in 2006, ten years ago now, the ratio between US financial instruments and securities reached 129 trillion USD, which was 9.7 times, almost 10 times, the country’s GDP. According to Zhiwu Chen’s theory, this is the mark of US wealth. Why does he assert this? On the financial market, it is characterized by the realization of future wealth. Why have all of those tech companies run over to this market to list? When Alibaba had their IPO, their market value reached several hundreds of billions USD in the blink of an eye. This doesn’t mean that Alibaba currently has that much property or that much seed money, but rather that everyone believes that Alibaba’s high technology will realize this kind of profit in the next ten to twenty years. It is realized by taking future profits and realizing them in the present to support its market value. We can basically summarize by saying that the agricultural era of wealth is in the past and the industrial era of wealth is where we are now. What kind of era of wealth is the United States leading us into next? The future will be characterized by the ability to realize future wealth. On the surface, realizing future wealth sounds nice. Who wouldn’t be willing to take your projected wealth from over the next ten to twenty years and spend it now? But in truth, it can’t necessarily be done that way. Why has the United States been able to accomplish this? Why has it caused Chinese tech companies to head to the US for their IPO? The core of Zhiwu Chen’s book clearly explains why. Currently, the United States accomplishes this the best, transforming this country into the global destination for tech companies to realize their future, while also simultaneously supporting it as the world’s greatest holder of monetary and financial assets. Professor Zhiwu Chen’s analysis says that at the founding of the country, America was basically led by a mob of colonial people rebelling against the British Empire. Be aware that this rebellion and the subsequent founding of the United States, including the banner that it supported, has very seldom been seen throughout human history. Throughout human history, the founding of nations has often been based on a peasant revolt. The most classic example of this can be found in China and Europe was also very similar. In the past, many nations were founded by a coup, of which there have been instances in both the east and west. The logic of a coup is that if I bring a band of people to strike down the leadership, then the world will be mine, the land will be mine, and all will be the property of the emperor. The rest is how you found the nation’s treasury and land bureau. This includes Louis the Fourteenth who was quoted as saying “I am the state,” as well as the founding of previous nations, which were also based similar logic. But America couldn’t do it that way because from the start, their rebellion was never under the banner of a coup, but was rather under a banner of freedom, democracy, and human rights, where property rights were inviolable and each person’s rights would be protected. At the time, another reason for their rebellion against the British Empire was so that they could come out from under their taxation, which they opposed. Founding the country this way made it so that it wasn’t possible to simply occupy land with troops, because the land already belonged to the people. Looking at this group, you could say that founding a nation under this banner would seem that it might soon run into financial difficulties. What could the country do? They used the stupidest way possible, which was to give out IOUs, handing them out even for soldier’s pay and rations. Everyone knows that giving out IOUs can’t go on forever. If you give out an IOU, how can it be exchanged for money? Fortunately, America won the Battle of Yorkshire, the most crucial battle in the war. Great Britain was pretty far from the US, separated by the Atlantic ocean, so the British Empire later decided that they were unstoppable. The British Empire and America signed the Treaty of Paris, acknowledging the United States of America as a country, and so it went. But the problem of public finances had still not yet been resolved. If you write that many IOUs, what can be done? Their first Secretary of the Treasury was Hamilton, who, looking back, was a great talent in finance. He was probably the first in human history to realize that if the United States of America wanted to survive, it would always have to spend money from the future, because it didn’t currently have money. So he immediately made the basis for the Department of the Treasury by establishing the bonds market, allowing many IOUs to be distributed. Then what happened? Everyone came to a market to conduct transactions, and even to speculate. Sometimes it would rise, sometimes it would fall, and everyone really enjoyed speculating. China has always feared speculation, but sometimes it is very necessary. The financial market needs speculation and this gave everyone the opportunity to do so. Professor Zhiwu Chen got it right when he said that the price of bonds is the market’s valuation of the future of the US. The price goes up and down, but will the nation be able to have good development in the future? It was as if the US issued stocks to itself. It’s as if the country was a company, giving out widgets. You can have this widget now and if development is good in the future, then it will increase in value. Thus, the US bonds market was established, later developing into Wall Street. The market seemed to be extremely fragile when it was established because at its core, its successful operation relied on one simple thing: trust. Once people don’t trust you, then everything collapses. The IOUs just become pieces of paper, not worth one cent. With regards to monetary value, once credit is established and trust has been created, then your IOU can be worth a lot of money and can even increase in value. What basis do you have to believe in the people’s trust? The legal system is extremely important. Primarily, laws must firmly uphold the people’s property. Who does property belong to? It is sacred and inviolable, which is defined in the constitution. Upon the founding of the country, the government could under no circumstances violate this. Secondly, the transfer of property is contractual. Once signed, a property transfer agreement with person cannot be violated. Everyone knows about playing the futures market, but how could you play if it was possible to violate the contract? Even though the delivery occurs so many years in the future, its delivery must be carried out no matter what; not even the government can interfere. So fundamentally, the corresponding rights of the government must also be restrained, and the separation of powers must be established, including independent public opinion and disclosure of information. In sum, US Treasury information, politics and laws all revolve around the core concept that the US spends money from the future. If credit become bankrupt, that country would be nearing its end, as the entire economy would be unable to operate. We often read Reference News and frequently see data that says the US government now owes several tens of trillions of dollars in debt. In the past, I didn’t understand. Isn’t the US the world’s wealthiest country? How could the government owe that much money? I had only heard tell of the amount of money that the Chinese government has saved. How could the government of the richest country in the world, the US, also have the world’s largest debt? Only after reading this history did I understand that the government has always been supported future money, so it is of the utmost importance to keep the system intact. In its 200 years of history, the US has continuously refined and improved this system, and has ultimately established the world’s highest credit. Everyone believes in the country, that the market will not be broken by the government, that the government will not renege on its obligations, and that the government cannot flagrantly interfere. Business is conducted according to the refined logic of the market. Good thing it’s caught onto technology. Thanks to technology, everyone has an easy time imagining the future, which is great. Currently, we are experiencing a high-tech wave, causing the US financial market to experience inflation; the more inflation, the bigger it becomes, thus creating the world’s greatest market for realizing the future. So the mark of US wealth is that in the future, we will be able to realize future wealth, which Professor Zhiwu Chen explains clearly. With this in mind, the richest people on earth are marked by their ability to realize future wealth, rather than the amount of property they currently have or whether or not they own a factory and produce many goods. So make sure that you don’t overlook the importance of the third generation of the notion of wealth, because I think that its difference from the others is sometimes crucial to understand. I read an article from a Chinese economist in which the author complained that China has suffered losses by processing goods for US companies like Apple. He says that Foxconn’s factories in Shenzhen all manufacture cell phones for the United States at a maximum profit of 5% per cell phone, but then Apple goes and sells it for up to 40% profit. After reading this, I really thought that this was a classic case of misunderstanding the essential nature of wealth in the US. In the US, wealth isn’t really that 40% profit, but is actually Apple’s trillion dollar market value, which has already realized the wealth of the next ten to twenty years. Don’t think that this is a bubble. Do you think that it is true gold and silver? You think that real estate is real wealth, but if someone takes out some Apple stocks and wants to trade with you, if it was the right price, would you be able to resist? You would definitely be willing to trade because you can’t deny that it is real wealth. So this is what wealth is like in the United States, where it is characterized by wealth of the future. This is the reason why the US appears to be the greatest country in the world. Actually there are other countries that have also been able to capture the power of future wealth, although not as well as the United States has been able to. Thus, Professor Zhiwu Chen used the example of the Hundred Years War between Great Britain and France. In the beginning, France actually exceeded Great Britain in many aspects. Historically, this included the reign of Louis the Fourteenth, and Napoleon’s subsequent takeover of the entire European continent. But later, France ultimately started to decline during their competition with Great Britain, a fact that is clearly visible if you look at the area of colonial land occupied by each nation. Basically all of the colonies became the property of Great Britain, including Canada. Professor Zhiwu Chen also raises some financial data. Over the span of 100 years, what has been the difference between the two countries? The interest rate for government bonds in Great Britain has remained at 2.5%, whereas the interest rate for government bonds in France is basically at 5%, up to twice as much. Why would this occur? Is it because the French are not patriotic? Probably not. Professor Zhiwu Chen provides an analysis of the fundamental reasons for this. Although the British King has never been removed from power, Great Britain was actually the first to restrict the monarch’s authority, as well as the power of government. The earliest document to start to delineate the government’s power was the Magna Carta, nobility began to play games with the king, and the Magna Carta was finally ratified. This was significant in that it was the first time that limits to power were defined. You aren’t allowed to exceed these limits and if you do, it won’t be authorized by parliament. Of course there was a lot of fighting back and forth, but finally it was defined, Great Britain implemented the separation of powers, and government authority was effectively restrained. Historically, prior to the French Revolution, the power of the French monarchs, such as Louis the Fourteenth, was realistically probably greater than that of the Chinese emperor. His statement, “I am the state,” showed that what he said goes. France never was able to effectively solve this problem and the powers of the king and the government were never constrained. This was also a cause of France’s the total and complete eruption of revolt. Everyone is surely aware that French history is full of twists and turns, including the appearance of Napoleon. This resulted in ineffective restraint of government and direct interference in the financial market by the government. If the government directly interferes with the financial market, then the nation’s financial credit will inevitably go down. If you are always reneging on contracts and the government is always interfering, never acknowledging debt, and then when you go to raise more money, the interest rate can only go up; otherwise, no one would loan you money. Another example is the First Sino-Japanese War. Overall, Japan studied the west and was the first to realize that future money should be spent to fight the war. At the time, government bonds were issued throughout the country for over 7 million taels of silver. The Qing government in China at the time was actually quite well-off, with annual fiscal savings at 7.6 million taels; however, everyone knew that most of it would be used on corrupt officials or to build Empress Dowager Cixi’s Summer Palace. So when the war officially began, it was really as if Japan had begun to use future money to face the Qing Empire by issuing government bonds. Japan used economic resources ten times the size of the entire Qing Dynasty, whereas the Qing empire only realistically utilized 1/10 of its own resources, probably several hundreds of thousands of taels of silver and as a result, you can imagine the outcome of these two wars. Japan was at the forefront in terms of economy and the war basically brought Japan into the market. Later, reparations for the war alone amount to two hundred million taels of silver, and Taiwan, Lushun, and Dalian were also ceded, Japan was benefited from China greatly. Once the Qing Empire had experienced this battle, once it was gone, it was gone forever. Finally, to talk about me personally, China’s capital market really does have a notion of future wealth. An obvious example of this is Neil Shen. He studied abroad in the United States for many years and has seemingly studied everything there is to know in the United States. This is reflected in the way that he operates. He founded Ctrip in 1999, undoubtedly a very successful entrepreneurial enterprise. We all now use Ctrip when we need to buy tickets. According to the second generation of the notion of wealth, as long as your successful business is able to provide dividends, then you are okay. If Neil Shen could just start distributing dividends on Ctrip during the next 20 years, then you could imagine that his fortune now would become incomparable to his wealth of the future. Fortunately he didn’t stop here and understood that wealth of the future is the greatest wealth. So four years after founding Ctrip, he took the company public on the NASDAQ and his value immediately went up to over a hundred million, realizing the future. Soon after, he followed this recipe, invested in Focus Media, and then later founded Rujia Hotel. This time, Rujia went even faster than the previous companies and within one year, it realized its future wealth by going public in 2005. Later down the line, he frankly tasted some fun and founded Sequoia Capital China. He was the best at playing the game of realizing the future and is now without a doubt a celebrity in the capital market. So what we are now facing is an era of future wealth. So what does it mean that blockchain will turn data into wealth? One thing it means is that it will take previously invisible resources, such as human connections, creative thought, group spirit, and community strength and describe them using big data. This is the equivalent of describing the invisible part of the quantum worldview, which, through the use of blockchain authentication and transfer protocol, can now become the wealth of each person or organization. This is called the quantum wealth outlook. The second thing it means is that each person has the right to their own data and that data becomes a tool for each person to realize their future wealth, so our wealth will comprehensively enter the future. Interesting!, Thanks for Sharing Feng Han.